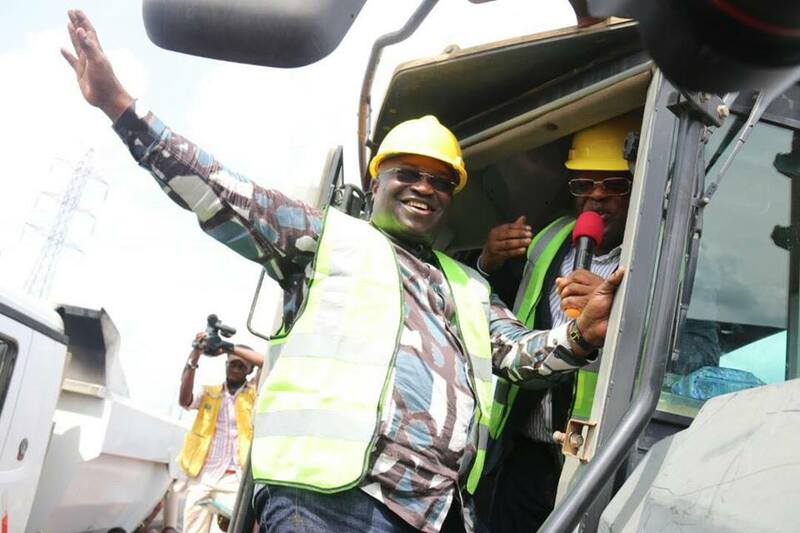 Here are some achievements of Governor Okezie Ikpeazu who was inaugurated on 29th May 2015. Feel free to physically verify each item or call home and ask anyone you know around there. The best news is that what Abians have so far witnessed in the past 2 years are mere “supporting films” to the gigantic achievements they will witness from September 2017. 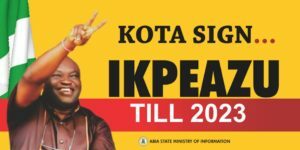 The Ikpeazu Revolution is about to enter another phase that involves massive infrastructure renewal work, enhanced promotion of Made In Aba brands and integration of all other development efforts into one whole outcome that will position Abia as the fastest growing state in Nigeria and deliver prosperity to our people, even under recession. *Kindly note that this list is not exhaustive. 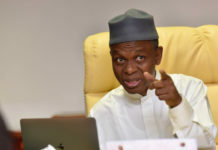 There is also no need to mention the political/legal distractions as those who orchestrated them failed to distract the Governor from serving our people. 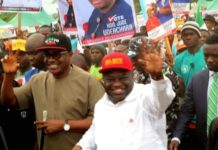 At inauguration, Governor Ikpeazu anchored his developmental agenda on the 5 pillars of agriculture, education, infrastructure, trade and commerce as well as oil and gas. To properly position his achievements, it is only fair to review his activities around the 5 pillars as well as draw on other areas that he has equally made impacts. 1. Large scale mushroom production and training program. 2. Launch of “Abia rice” and support for rice farmers. 3. Palm plantation with over 2,000,000 tenera specie seedlings grown and sold. 4. Funding of commercial agriculture through grants and soft loans to farmers. 5. Provision of mechanized farming equipment across the state through leasing at affordable rates. 6. Enhanced commercial production of cocoa and cashew. 7. Direct provision of fertilizers to farmers at subsidized rates. 8. Enhanced poultry and fish production with phase 1 of 100 poultry pens of 2000 birds executed. 9. Constructed 165,000 capacity poultry processing plant at Umuosu. Additional two units for Abia North and South commenced. 10. 300 young Abia farmers benefitting from N2.5m per person grant as part of Farmpreneur project of world bank (FADAMA). The state provided counterpart funding. 12. Commenced reactivation of moribund Igu Dam with support from world bank (FADAMA III) for all year round rice production. 1. Launched education for employment (E4E) scheme that has already produced 472 graduates with relevant skills in ICT. Database of unemployed Abians completed with Abia state job portal launched. 2. Retrained Abia teachers, in partnership with Australian education providers, to enhance teaching efficiency. More than 200 teachers have benefited so far. 3. Abia State has maintained 1st position in WAEC and NECO examinations for consecutive 3 years as a result of increased monitoring and enhancement of private and public sector educational resources. 4. Renovated 32 schools across the 3 geopolitical zones. 5. Constructed 15 new water Boreholes for schools in Abia State. 6. 50 modern school toilets built across the state. 7. Donated cars to teachers and built staff quarters at Ibeku High School Umuahia. 8. 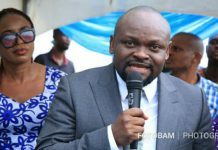 Reduced school fees at ABSU, Abiapoly and College of Education Arochukwu to support Abia parents and guardians. 9. Homegrown free school feeding program launched and ongoing at selected schools in all zones. Also free school sandals project ongoing with private sector support. 10. Free ICT and Coding training for primary and secondary schools in the state using the e-library at Umuahia as hub. 11. Launched a unified education platform for all schools in the state. Results and activities of all Abia school children can be monitored from one platform for private and public schools. 12. Commenced the construction of model schools with nursery, primary and secondary schools in one place alongside dormitory, sports facilities and teachers quarters. 13. Equipped statewide education inspectors with 42 motorcycles to enhance rural areas education monitoring. 14. Awarded tertiary education scholarships to best performing WASCE students in all the LGAs for 2 years. A. Ultra modern Abia Investment House constructed. 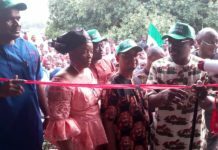 B. Okon Aku bridge at Ohafia delivered. D. Street lighting projects executed along selected roads at Aba and Umuahia. E. Abiriba and Umuahia water schemes rehabilitated. G. Introduced use of Rigid Pavement (Cement) Technology in road construction to quarantine minimum of 30 years life span for concerned roads. H. Desilted drainage-ways (gutters) at Aba and partially dredged waterside to receive more storm water and prevent flooding. I. Commenced construction of first ever Abia interchange (flyover) at Aba. K. Re-asphalted portions of Aba-Owerri road with ongoing large drainage work. L. Executed 2 massive erosion control works at Imenyi Bende and Abiriba roundabout. Another erosion control work is ongoing at Umuda Isingwu in Umuahia. 2. Partnering with federal government to provide steady power supply at Ariaria International market area of Aba. 4. Attracted Federal Government support for MSMEs at Aba. 5. Facilitated thousands of orders from Navy and others for Aba made shoes and uniforms valued at over N2b. 6. Partnered with Ford Foundation to launch international promotion campaigns for Made In Aba brands at zero cost the state. 7. 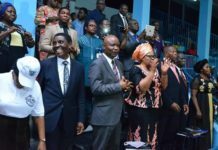 Launched Government enterprise empowerment program (GEEP) that provides up to N100,000 to selected Abians who are grouped in cooperative societies. So far the program has funded more than 1,000 Abians. 8. Supported South East Entrepreneurship Development Centre with N100m take off grant to help young entrepreneurs. 1. 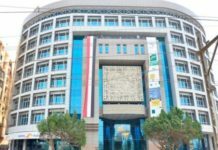 Engaged multinational oil companies to employ Abians and pay taxes to the state. 2. Engaged Federal Government to extend amnesty program to indigenes of oil producing areas. 1. 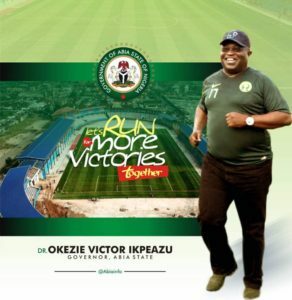 Promotion of made in Aba brands is seen by many as the greatest achievement of the Ikpeazu administration. He has received multiple local and international awards for his efforts. Today, Aba is producing uniforms and boots for the navy and other uniformed organizations. 2. On transportation, more than 30 taxis have been introduced through PPP to support ease of movement at Aba and Umuahia. 3. Launched TIMAAS to enhance road use discipline and free flow of traffic. 4. On security, he has supported security agencies in the state with 35 vehicles that are well equipped with communication gadgets. 5. 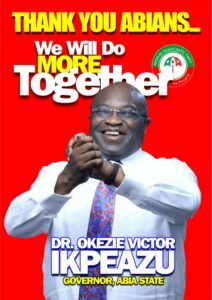 The Ikpeazu administration has also deployed sophisticated tracking system to tackle kidnapping. 6. His aggressive program of demolishing kidnappers houses, cash for whistle blowing and expansion of the local vigilante (Bakassi) has helped to reduce crimes and secure the state. According to reports by the federal office of statistics, Abia recorded the 2nd lowest crime rate in 2016. 1. Emergency Medical and Services (EMS) launched in Jan 2017 across the state with an initial 2nos. state of the art Intensive Care Unit fitted motorized equipment with appropriately trained staff. Service is accessed via a dedicated Toll free number 112. This service in future would be tied to the State Health Insurance Scheme. 2. He implemented WHO/FMOH model of one primary health care (PHC) per political ward. Abia State now has 292 WHO recognized Primary Health Care centers (PHCs) across the state. 3. Primary Healthcare under one roof (PHCUOR) which is in keeping with international best practice now achieved on Governor Ikpeazu’s watch. 4. He attracted the Basic Health Care Provision Fund (BHCPF) beneficiary pilot state status attracting N1.5bn (July 2017), from The World Bank following the successful hosting by Abia State in January 2017 of The 59th National Council on Health. These funds are to be applied at the 292 PHCs for qualitative services at that level of care. 8. He attracted funding from the Canadian Government for the Integrated Community Case Management(ICCM) of the 3 childhood killer diseases of malaria, diarrhoea and pneumonia being anchored by Society for family Health(on behalf of WHO/Canadian Govt). This project is now in its transition phase to full management by the state Government. 11. New General Hospital in Obingwa now operational, complete with accommodation for medical personnel. Remaining 3nos New general hospitals in Arochukwu, Ikwuano & Okeikpe at 95% completion. 12. Collaboration with Nestle Plc in areas of infant nutrition and maternal care services. Already, an MOU with Nestle Nutrition Institute in Africa signed. First phase of capacity training/development for our medical personnel concluded and would be ongoing, and are aimed at improving our health indices further. 13. Newly re-furbished maternal and Children’s building at ABSUTH Aba. 14. New PPP arrangement in procuring cutting-edge medical equipment at ABSUTH. 15. Re-Accreditation of Undergraduate medical training for new doctors at ABSUTH. 16. Accreditation of post-graduate training schools in Obs & Gynae, surgery and paediatrics loading at full speed. 17. Abia state recorded improved Health Indicators compared with other states and national averages (charts available from WHO). 2. Re-modeling of Enyimba stadium with Astro-turf and new stands almost completed. 3. Aggressive re-introduction of school sports to develop new talents. 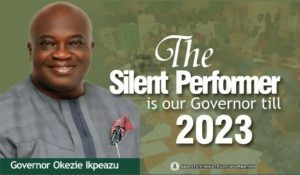 The Ikpeazu administration has successfully conducted Local Government polls that produced elected officials at the 3rd tier of government.